Delete associated images when deleting any existing listing, page and blog post. Every time an image is uploaded to your website, WordPress generates several copies of that image and stores them inside the uploads folder on your server. After a while all these images mount up, taking up valuable space on your server! 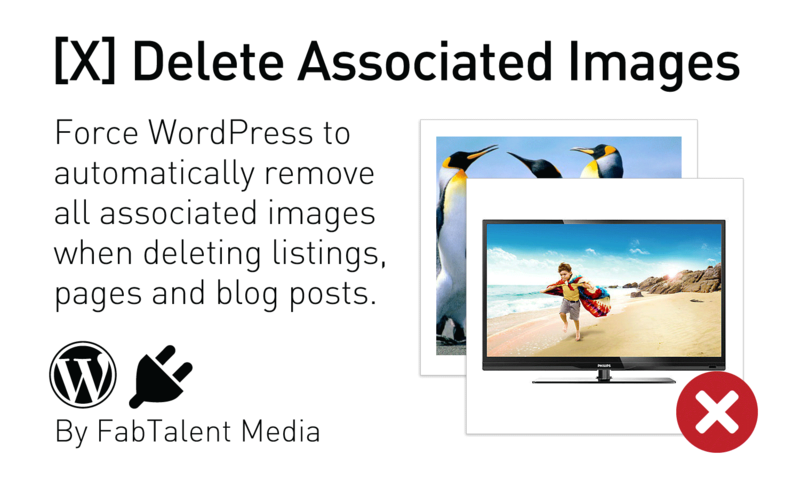 With this plugin you can force WordPress to automatically delete associated images when deleting any listing, page and blog post via the WordPresss back-end. ClassiPress, Clipper, JobRoller, HireBee, Taskerr, Ideas and Quality Control. For a quick video demonstration on YouTube, please see here. I know the video only shows ClassiPress in action, but I assure you other AppThemes products act the same way. Will this plugin work with any AppThemes theme? Will this plugin work with any WordPress theme? Probably, yes. It is impossible for me to test every single WordPress theme out there, but I am confident it should. However, I can’t absolutely guarantee it. You will need to test this for yourself. Feedback will be greatly appreciated if you come across a theme that it does not work on. 2. Locate the delete-associated-images.zip file that you downloaded from your Apphemes purchases account, install the plugin and Activate it. 3. That’s it! Enjoy having an Uploads folder with images that are no longer being used. For support, installation and any set-up information, please email me at the address provided in the readme.txt file, located inside the plugin folder. i am so happy with this plugin. it helped me clean up my site and now it runs faster. thank you. When deleting Users in the WP back-end, you have the option to “Delete all Content”. This will delete the images at the same time. Unlike the demo video for this plugin, you will not see them disappear live, but if you come out of the uploads folder and go back in, you will see they are gone. I tested this using the WP 4.2.3, hopefully others version work too. If not, then simply update. The video shows the Administrator deleting the ads and the associated images being deleted. Will the same thing work if the user deletes the ad or the theme deletes the ad automatically because the ad has expired? Yes. It has always worked when users delete their ads in the front end, thankfully. I do not really understand how acts the plugin 🙂 I bhought it having the objective of completely deleting any pictures from expired ads but does it automatically ? Do I need to set up something ? Nothing to set up, just plugin and play, ie: install and activate. I shall email you. If I delete more then one ad at the same time (bulk delete ads) will this plugin also delete all assosiated images ? In your demo video you only deleted one single ad. If I have like 200 ads in the trash, and click Empty trash, will assosiated images also be deleted ? I don’t have 200 ads to test that out, but I see that you went ahead and purchased the plugin anyway. You can now answer your own question 🙂 I did test with deleting several ads at a time and that worked fine. 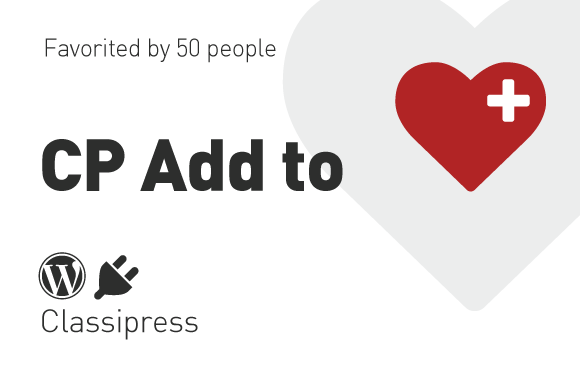 On my site – it is not working (classipress 3.5.1 wordpress 4.3.1). So I selected all ads from 2013/1 and send them to trash about 250 of them. Then I went to trash, selected all of them, and select delete permanently. After ads were deleted, in the wp-content/uploads/2013/1 all images are still there. There are a lot of images, probably more then 1000 so I waited a while, but 20 minutes later images are still there and not moving. I tried to delete only 2 at the same time, from same folder, i wrote image numbers,, sent them to trash, bulk delete, and in that case it worked. Associated images were deleted. So I guess there is some limitation on how many ads/images can you delete at once, for this plugin to work. I purchased the plugin because many times I just delete single ad, so it should be usefull to me, but it would be more useful if this mass delete ads/images would work. Hi talent , this sounds good. Can i ask will this plugin delete pictures even after ads have been deleted prior to plugin installation. As this could help reduce storage i think as my hosting provider backs me up twice a day. Also does this only have access to upload folder. The purpose of the plugin is to delete “associated” images when deleting any ad, page or blog posts. If the ad, page or blog posts no longer exists (ie: has already been deleted) then the association of any images to ads, pages or blog post has been severed. Yes, it will only delete the associated images of blog posts, pages and ads. All these type of images are stored in the upload folder. Is Multi site Compatible ? Please email me for support. You can find my email address in the README.txt file inside the plugin folder. Have you tested this on your set-up? I do not have a multisite set-up, so unable to test this for you. The question is, does each site have it’s own Uploads Folder? I’m afraid I don’t know how WordPress multisites are set up. I have never created one. I have emailed you for further information. my other question is have you or others had any experiance in using this in conjuction with the EWWW and or IMSANITY plugins as they create additional thumbnails ? I use the Imsanity plugin running on my demo site, and I have no issue with it, but I have never heard of the other plugin you mention, so can’t verify anything to do with it. Seems to me you are pre-emptying things before knowing. Which is fine, but no-one can possibly know or see what effect anything has on any plugin unless it is tested. Since there are several thousands of ( hundreds of) plugins, that would be impossible. A case of trial and error to see. Good plugin Talent. Working very well when to delete all ads from Bin by click ‘Empty Bin’. If I try to delete ads individually (from bin) its not working for me. Maybe I do something wrong. But please check it. Is there a way to automatically remove JobRoller job listings when they’ve been expired for a given number of days? I’m pulling about 200-300 listings a day from Indeed/Craigslist/CareerJet (upwards of 110,000/year) to populate the site. Most listings will be irrelevant after 30 days and I don’t want to repost them. This will lead to an overwhelmingly large database. I’d like to limit those added in the last 60 days and their associated images. Will likely need to keep these separated from other job posters who want to renew their expired ads. I’m willing to pay for a plugin/script that can handle this task. Thanks. Hello, I don’t know Jobroller well enough to comment on this, but doesn’t Jobroller automatically prune ads in the backend anyway? I know Classipress can. Sounds like you need to investigate the pruning action of the Jobroller theme. I don’t have a Jobroller theme set up. I suggest you ask in the forums. This plugin does not have a pruning function, sorry. it’s possilble to create the Plugin “new”? My Problem is, i have 200.000 images and i think 70% of this is expired. So when it’s possible to write the new Plugin with the option “delete assoiated image” 1 Week after the Post is expire?! If your ads are expired, ie: in “draft” mode, it is still possible. However, if ads are already “permanently deleted” then it would be impossible to “associate” images with ads that no longer exist. Hope that makes sense to you. Has this been tested on Vantage…..
Will this work with WooCommerce. I am seeing WooCommerce adding multiple images of the same item all over the place and not removing them when deleting a product. I have seen hundreds of unused duplicates it is not removing. Please help young lady. I have not tested with the WooCommerce plugin. 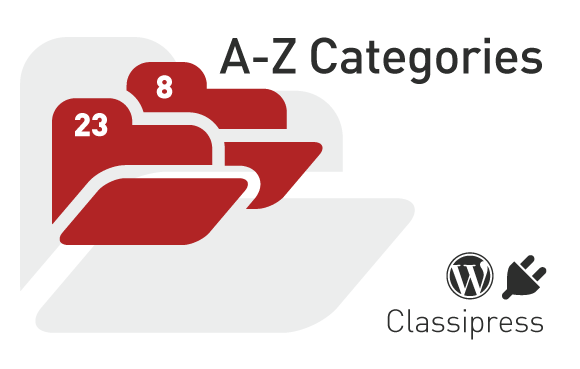 This plugin is designed to work with the themes. So can’t be certain how it will react to a plugin that uploads images separately. I can only assume ad listings and product listings are separate, no? Same here is it working with newest wordpress and cp? I’ve deleted several Vantage listings, then visited my uploads folder on server, and many images from those deleted listings are still there! Made sure the listing was both deleted, and then, “permanently deleted” option as well. I went to the /uploads/ file on the server and sure enough, all the associated images and image sizes for that deleted listing, are still there. I do use a caching system, but was sure to delete it. I’ll do so again, with my next text, but since I’m directly logged into my cpanel, and looking at the uploaded files, wouldn’t that not be impacted by cache on my personal browser? I’ll get back to you. 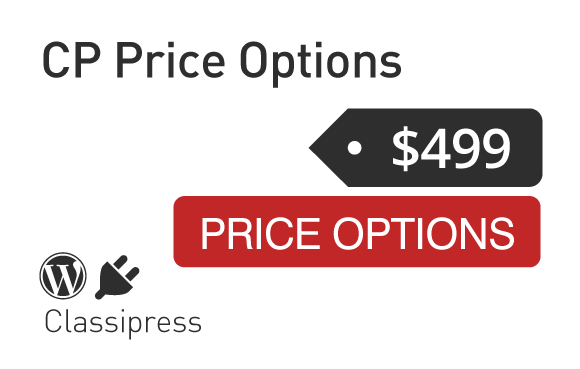 is this plugin still compatible with the last classipress version.